For those who plan to use the Nexus 9 for work in addition to play, a keyboard case of some kind is a necessity. 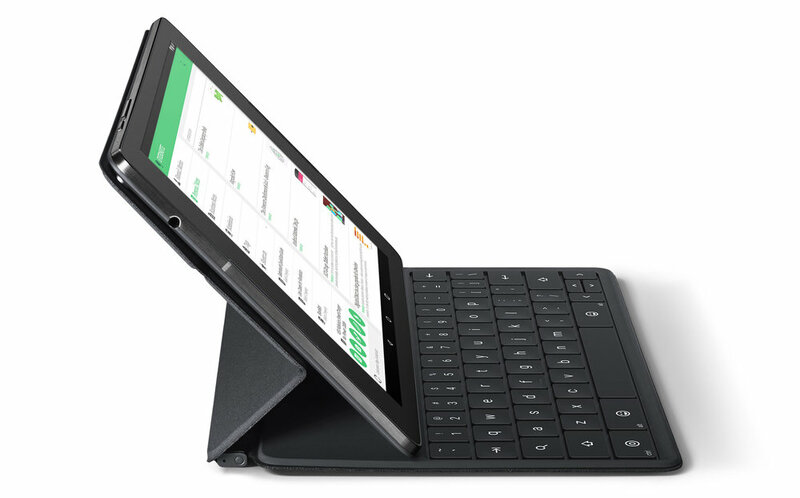 In anticipation of that need, Google revealed the Keyboard Folio accessory, the same one that leaked a few weeks back, alongside the tablet. There is not anything particularly remarkable about the Keyboard Folio, but it has plenty of nifty-sounding bells and whistles. It attaches to the Nexus 9 with magnets and pairs with NFC. It will need to be charged via microUSB, but Google says the battery should last around five months of use between charges. While I hesitate to call it compact, the case measures thinly for a fully mechanical keyboard – 5mm at its thickest. Its dimensions are 320 x 228mm. When the keyboard is not in use, the Folio functions as a standard protective case. It can fold into a vertical stand for tabletop use, and automatically wake up or lock the Nexus 9. Availability and pricing have yet to be revealed.